Whole Harvest foods produces the nation’s first naturally-processed line of no-trans-fat commercial cooking oil produced without blends or harsh chemicals. In addition to being all natural, the Whole Harvest line of oils is non-hydrogenated. Hydrogenation is the process that creates harmful trans-fats that have been shown to play a key role in the development of heart disease, diabetes, and strokes. The company’s refinery is located in Warsaw, North Carolina, with a packing facility located in North Las Vegas, Nevada. Whole Harvest’s national sales manager, sales team, and accounting department use Pipeliner CRM to coordinate and facilitate sales. A good part of the reason they chose Pipeliner CRM was its ease of use to manage the company’s sales process. 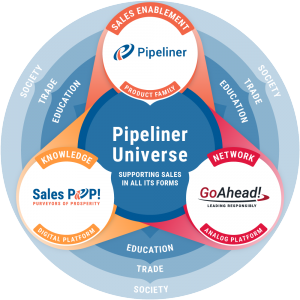 “Having Pipeliner the way it draws attention to each one of our sales process stages as being equally important,” says Chris Collier, Whole Harvest’s National Sales Manager. That’s key for us. Selling oil is very labor-intensive. It requires multiple stages. When sales reps fail, what I see many times is that they go into an opening meeting or an initial call with the intention of selling. That is, by no means, what the goal needs to be. In your initial contact with somebody, your primary objective is just to get an appointment. Then once you get that appointment, your next goal is to get them to test our oil in one of their units. And then it gets to the proposal phase. I felt like I had some reps kind of leap-frogging some of these stages, and the success ratio is very low when you go that route. Initial Contact aiming at an appointment. This stage has a 14-day limit on it because, usually, if 2 weeks have passed without scheduling an appointment, it is probably not a viable sales cycle. Appointment and Test. At the appointment, the goal is to sell the prospect on the idea of testing the product. A test takes normally between 1 – 2 weeks, so this phase also has a 14-day timeframe within Pipeliner CRM. Roll out. Won sales go into this phase during which the product is implemented with the customer. 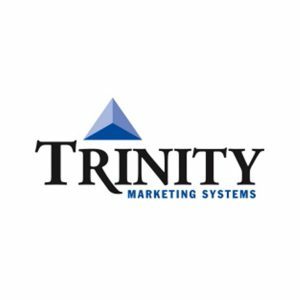 The need for a competent CRM solution came about through rapid company growth.“There was a lot of growth when we began, but had started to plateau last year.” Chris had put in place a solution for keeping track of sales—an Excel spreadsheet on which reps filled in their targets, which were discussed and updated monthly. But it obviously was not adequate to the job. I think it was Albert Einstein who said that if you can’t explain something simply, you don’t understand it well enough. It all made perfect sense for me, but how simple is it? As Chris got to know Pipeliner, he also took into account how he thought his sales reps would react to it. “From the director’s role I thought it was great,” he says. “But I think it was Albert Einstein who said that if you can’t explain something simply, you don’t understand it well enough. It all made perfect sense for me, but how simple is it? So I kind of stepped back to think about how a couple of my guys who aren’t as tech-savvy would visualize it and whether it would work for them. I realized it would. A CRM solution appropriate to Whole Harvest’s size of business was important to Chris’s decision. 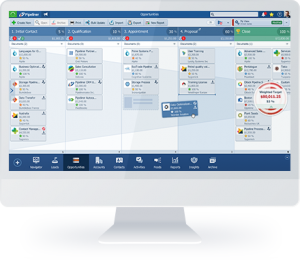 “You can tell that Pipeliner CRM is adaptable to handle any size organization,” he says. 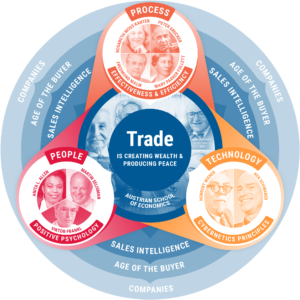 “But for me, it perfectly aligned with the size of our sales organization. Salesforce.com has obviously been successful and it’s a wonderful program, but it was almost too complicated and too intense for what my goal and purpose was. For Chris, Pipeliner quickly fit the bill as exactly what he was looking for. I opened it up and walked him through about 3 steps. The first thing out of his mouth was, “I absolutely love it.” Now tell me how much it’s going to cost us. Getting approval to purchase and implement Pipeliner was a story in itself. “Once I boiled it down, there weren’t a whole lot of options for CRM solutions that were on the table other than Pipeliner CRM,” Chris said. “But I still had to get the approval for the funding it. So I went to Bob Dawson, our President, and acting COO. I opened it up and walked him through about 3 steps. The first thing out of his mouth was, “I absolutely love it. Now tell me how much it’s going to cost us. Chris is very happy with Pipeliner CRM as a management tool. “It’s nice to be able to create profiles and look at each rep individually,” he relates. Chris is very happy with Pipeliner CRM as a management tool. “It’s nice to be able to create profiles and look at each rep individually,” he relates. “But any given day I keep it on the ‘all’ tab as far as the profiles go, because I can open it up and instantly I’ve got a snapshot color-coded by the rep of everything that’s going on in the company, and they’re all there together. It’s an immediate pop in your face. “I absolutely refer Pipeliner CRM and recommend it to others,” Chris concludes. “I am a sales guy at heart. There’s nothing that salespeople hate if they’re good salespeople, worse than paperwork and reporting. It is the bane of my existence.